This document outlines the expectations for residential students in University Housing which are known as the Community Living Standards, or CLS, in addition to Housing Policies and Procedures, which are incorporated into this Community Living at Michigan document and the corresponding contract between each student contract holder and the University. Residential students and contract holders are responsible for the expectations and procedures contained within. 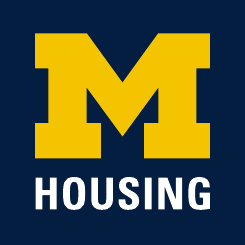 All references in the CLS and the Housing Policies and Procedures to Community Living at Michigan or the CLAM refer to this entire document. The headings, titles and subtitles used in this document are used for convenience only and do limit or otherwise affect the meaning of this document. Your contract is the basic document that states the contractual obligations between you and the University. This electronic document, Community Living at Michigan (CLAM), is a legally binding adjunct which is incorporated into your contract. You are equally responsible for complying with the rules, policies and regulations contained herein as you are for those directly printed on the contract. This document applies to residents with contracts in all University Housing facilities. The Munger Graduate Residences, Martha Cook Building, Henderson House and the Lawyers Club have some unique contractual terms and conditions that differ from the standard University Housing contract. It is the responsibility of the residents of these buildings to become informed of these unique terms and conditions. Residents of the four buildings should ask about these contractual differences at the time of contract signing. Every effort has been made to ensure the accuracy of information contained in this electronic document. Updates and corrections are made as they become necessary. Contract holders will be notified of substantive changes. You agree to hold the University, its agents and employees harmless from all damage, liability, or loss sustained by you or others in your room that results from the negligent or illegal use or intentional misuse of the room by you or others in the room. The University and University Housing do not assume any liability for loss, theft or damage to the personal property of residents in any University Housing location, including parking lots. Residents are strongly encouraged to maintain appropriate insurance coverage on all personal property, including automobiles. Purchase of a University Housing parking permit requires the vehicle be appropriately insured. The university has engaged GradGuard™, a service provided by Next Generation Insurance Group, LLC, with a specific Renter’s Insurance Plan designed especially for students. This insurance is not mandatory, but the University believes this company offers a product that well serves the needs of students in a college environment. More information is available on the Renters Insurance Grad Guard page. Throughout this document, “you” and “your” refers to the individual signing the contract and is the person legally bound to its terms and conditions. The term “resident” includes the primary contract holder and any household members residing in the space. “Student”, when capitalized or as the context reveals, means a contract holder meeting the eligibility requirements in the Eligibility to Reside in University Housing section. The term “student” (not capitalized or as the context reveals) refers to any person enrolled at the University of Michigan. “Non-student”, when capitalized or as the context reveals, denotes a contract holder meeting the eligibility requirements in the Eligibility to Reside in University Housing section. “Room”, “space”, or “assignment” denotes the space which has been contracted: apartment, room, and suite. In Munger Graduate Residences and in Northwood Community Apartments this includes any storage space specifically connected to the address. The term “Housing”, when capitalized or as the context reveals, refers to University Housing. University Housing “professional staff” includes but is not limited to: Assistant Directors, Hall Directors/Resident Directors and other full-time staff employed by University Housing. “Residence staff” includes student Resident Advisors (RA), Diversity Peer Educators (DPE), Community Center Assistants (CCA), and Coleman-Munger Fellows.